By keeping each vehicle clean its bodywork and chassis deteriorate less meaning you can extend its useful life by as much as 20%. We have partnered with the UK's leading producer of environmentally friendly vehicle cleaning technologies to bring you safe and caustic free cleaning solutions. As well as benefitting from thoroughly good clean administered by expert operatives, the cleaning solutions we use are especially formulated to leave the surface of each of your vehicles looking shinier. By keeping the under carriage of each vehicle free of muck and grime, it will be garage ready for it's next MOT inspection. We will come to and provide a convenient onsite service that neatly integrates with the way you operate your fleet. Our experienced and professional teams of operatives work around the clock so that we minimise any disruption to your vehicle availability so they can stay on the road longer. 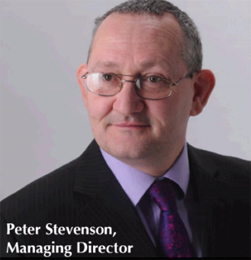 Hello, my name is Peter Stevenson and even after 25 years in the industry I am fanatical about helping successful vehicle fleet operators like you to keep your vehicles clean. You can try and do it yourself and run the risk of making mistakes I see regularly in the industry that will cost you time, money and possibly ruin your company image. You can bring in specialist operators like myself and my team to remove that headache for you and keep your vehicles gleaming as they navigate our dusty, dirty roads in full view of your potential clients and customers. If you are still cleaning your own vehicles, then I have put together for you a helpful report which shares the 3 most common and most costly mistakes I see when the decision is made to keep vehicle cleaning in house and more importantly, what you can do about them.